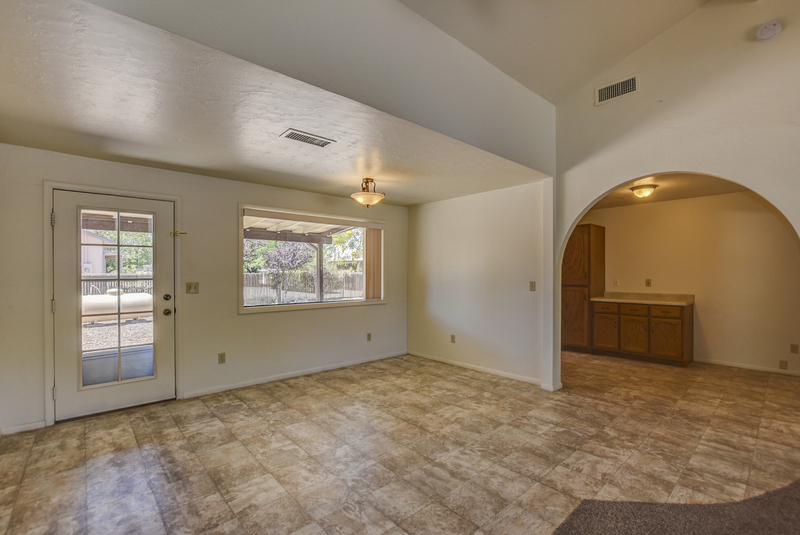 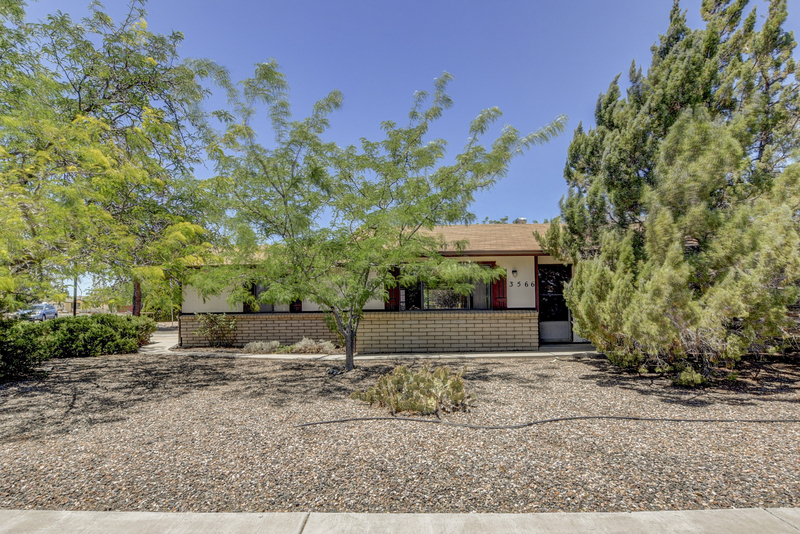 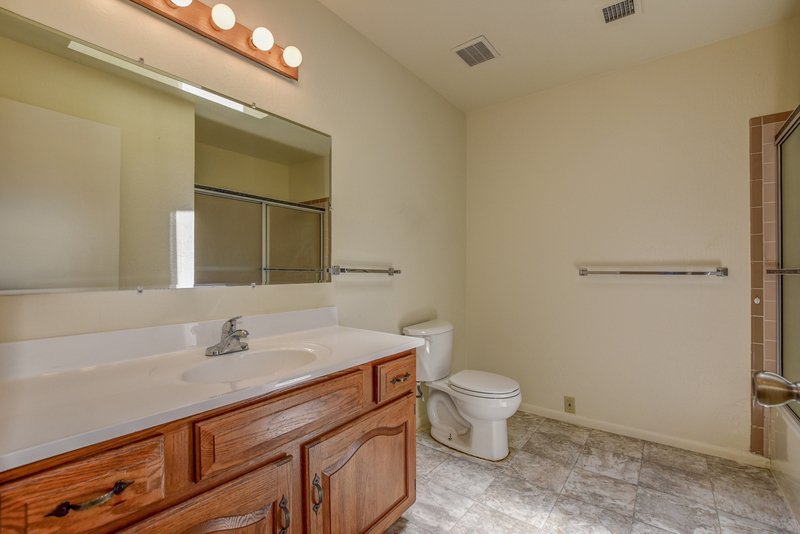 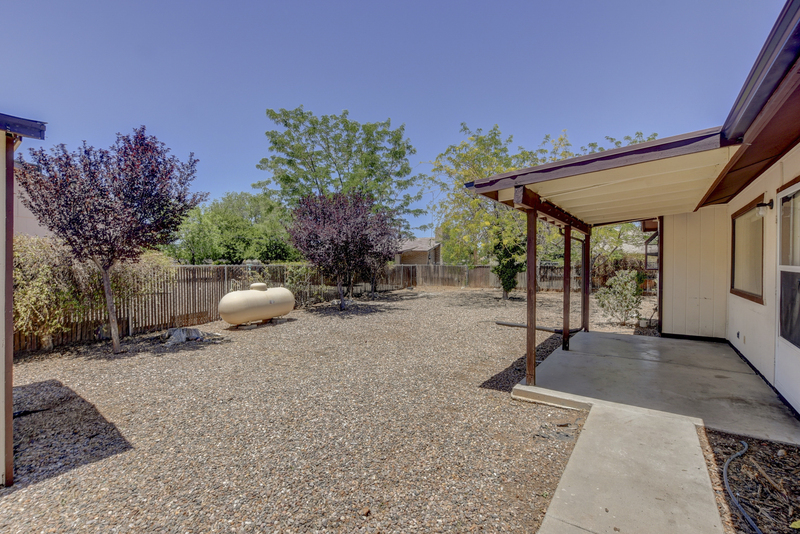 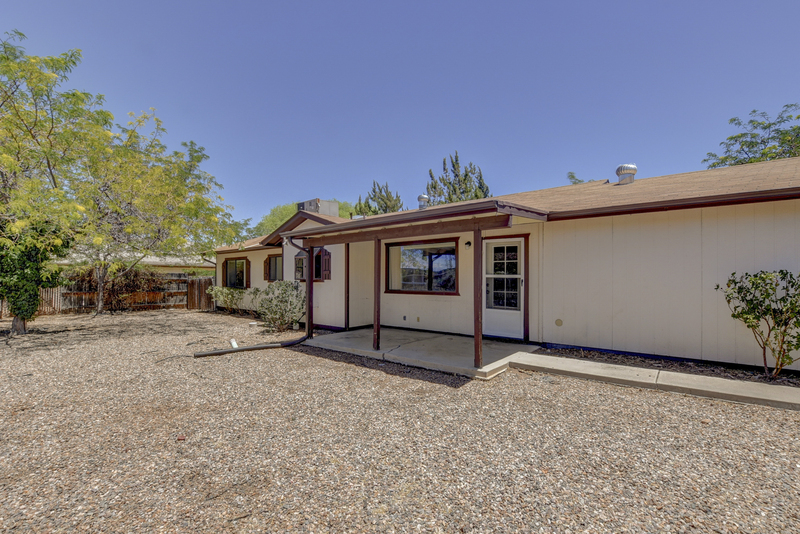 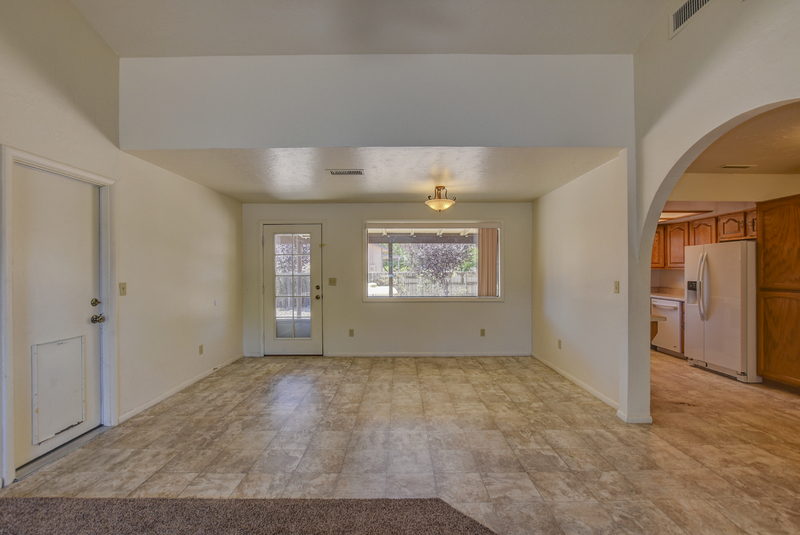 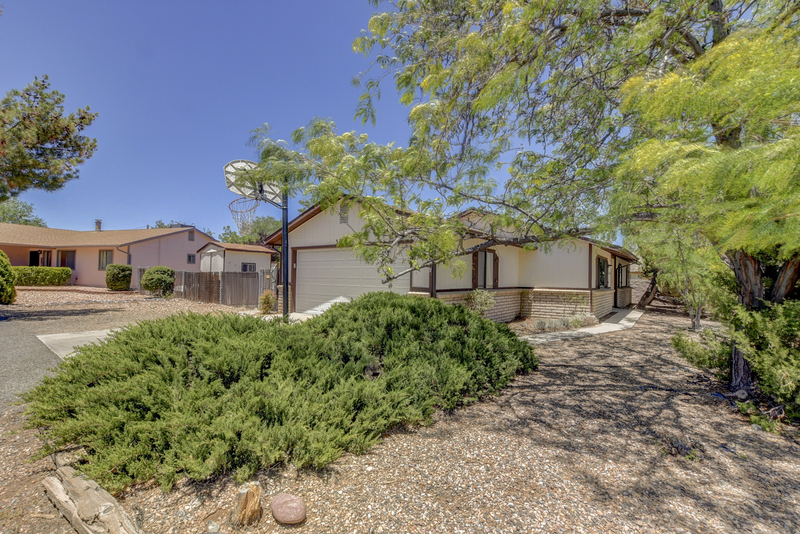 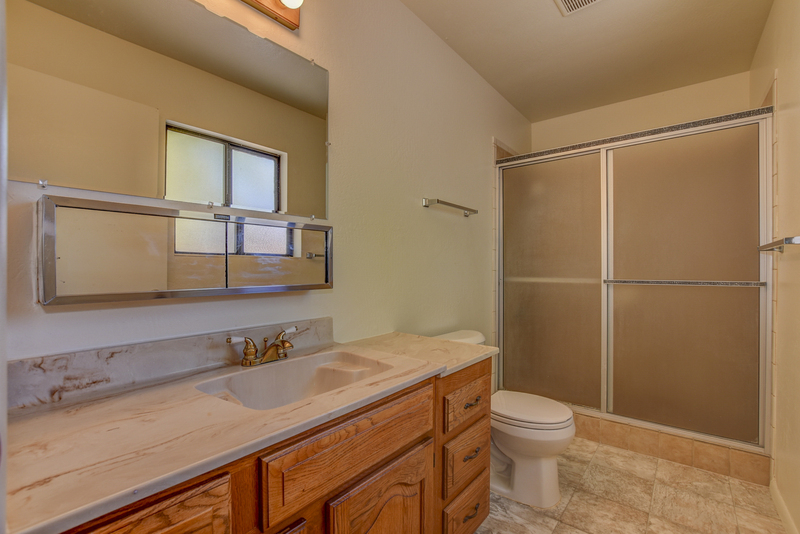 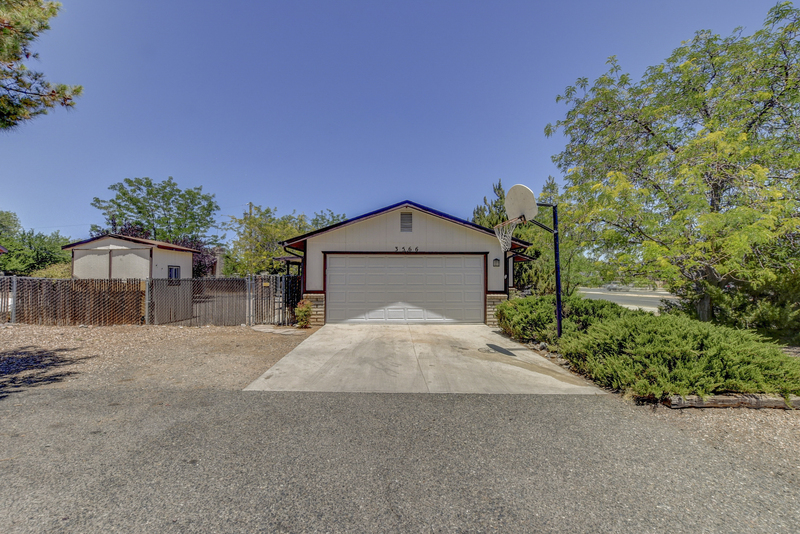 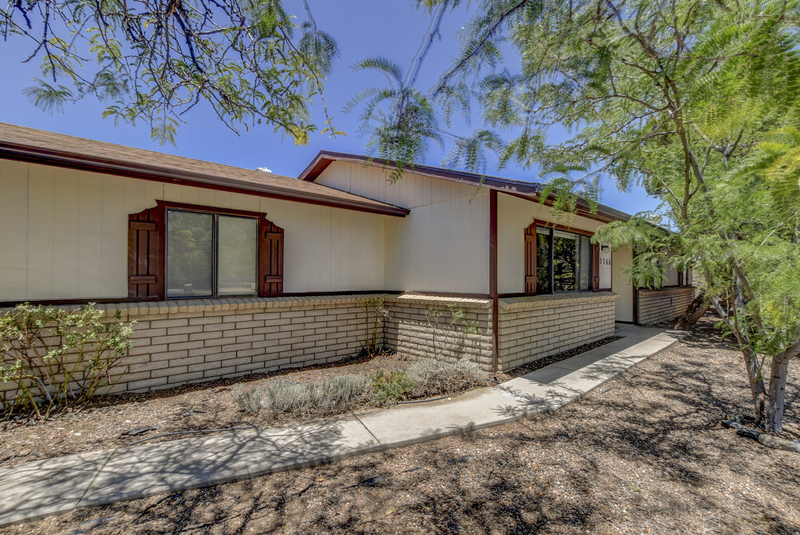 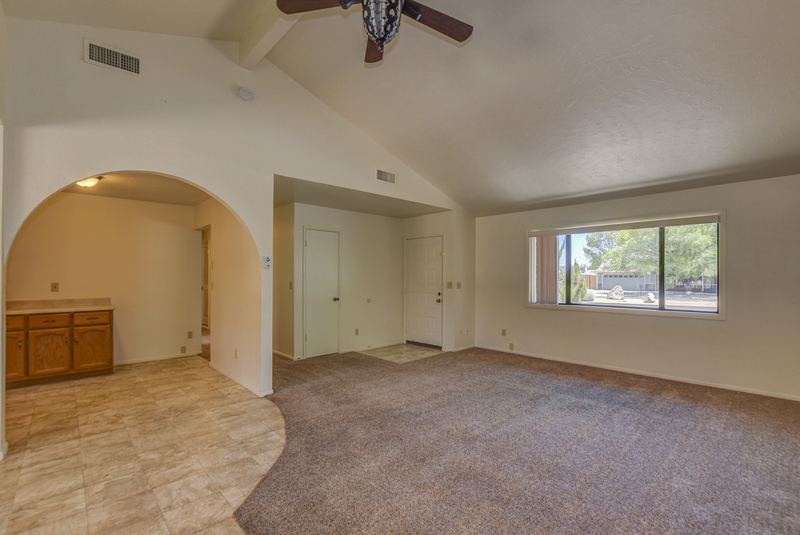 Charming Ranch house in the heart of Prescott Valley! 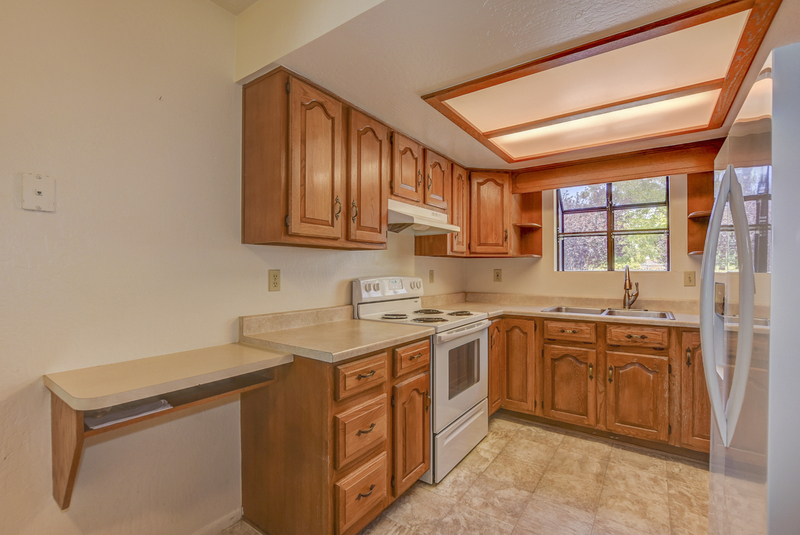 Close to shopping, restaurants, and fun stuff to do! 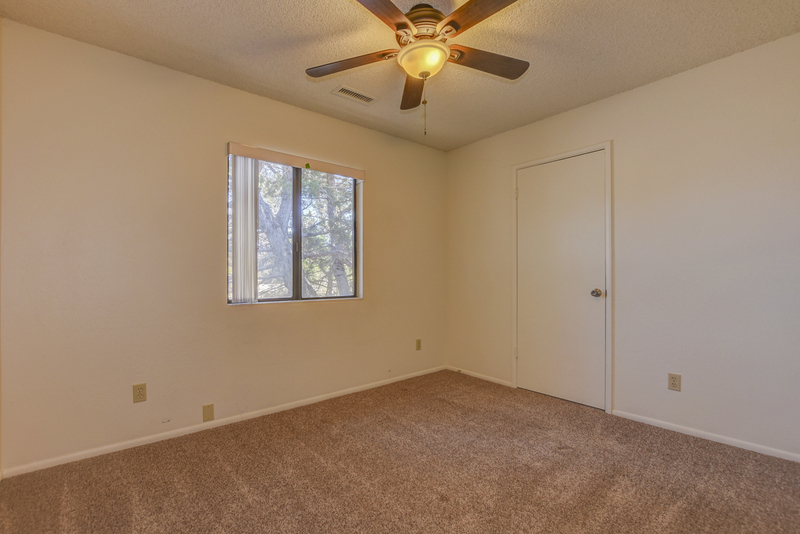 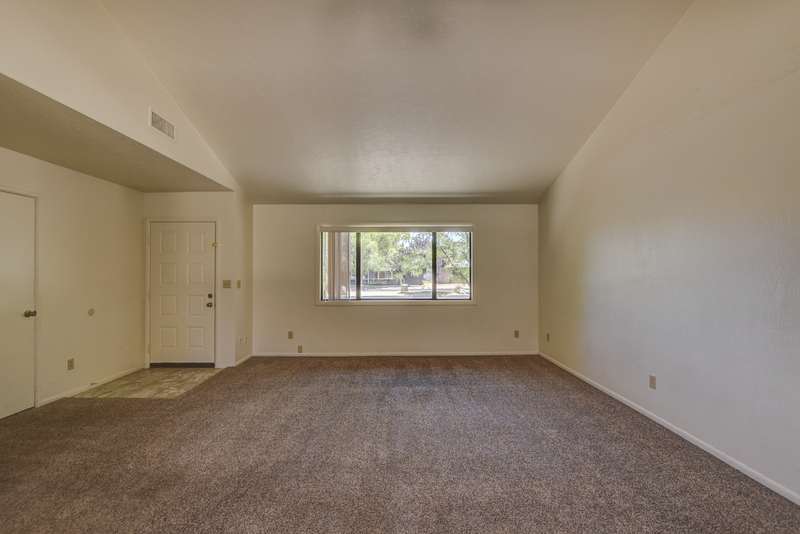 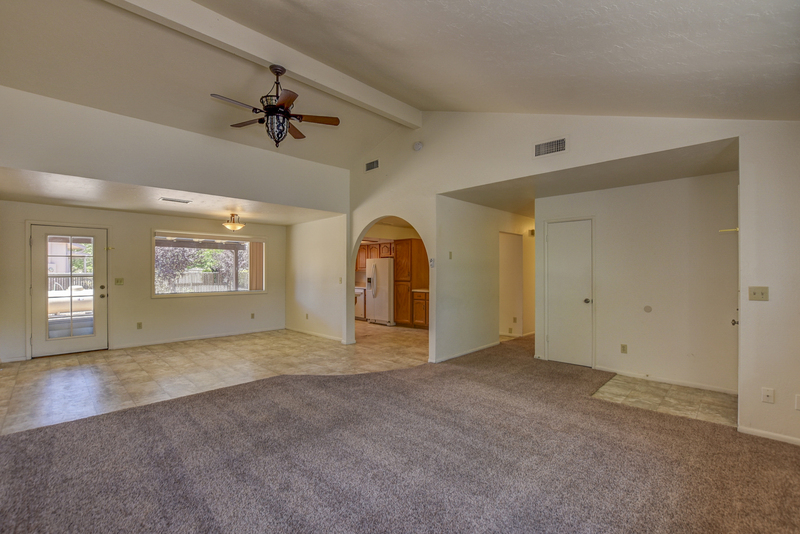 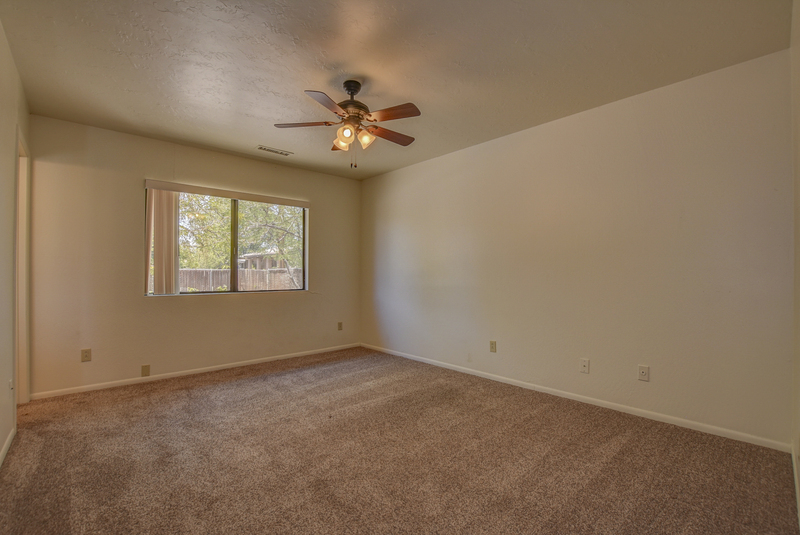 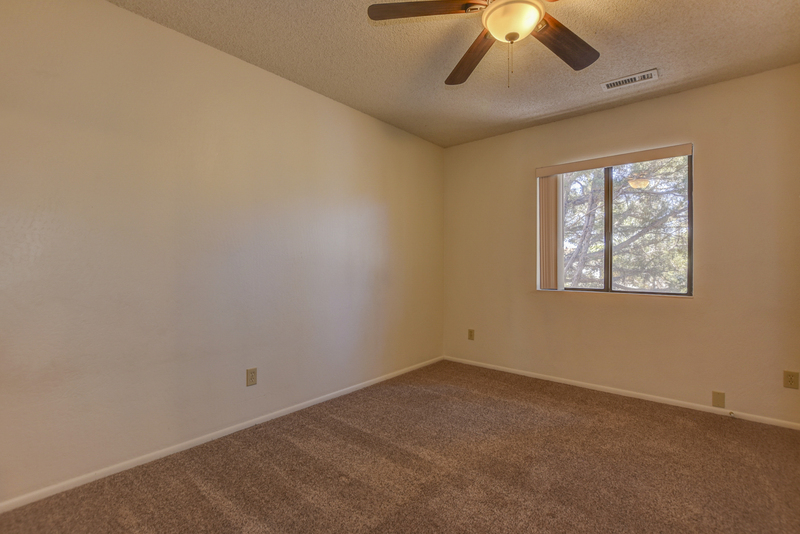 Lovely family room/dining combo, home has neutral colors throughout. 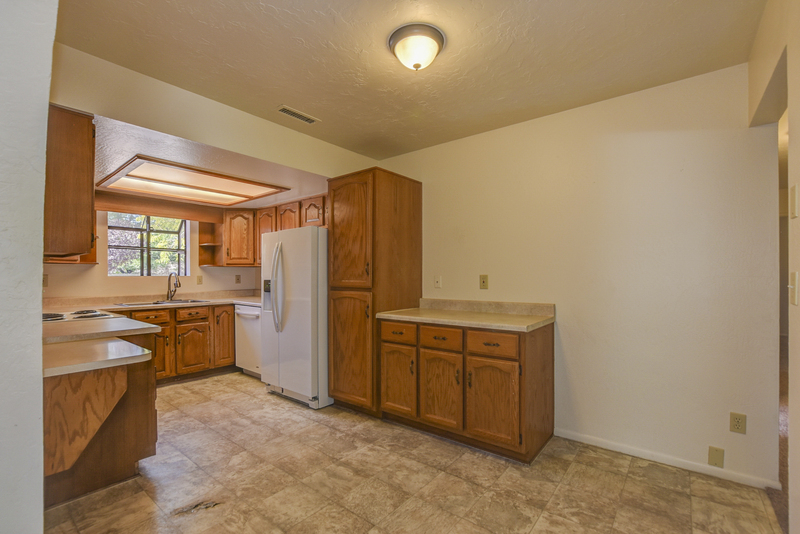 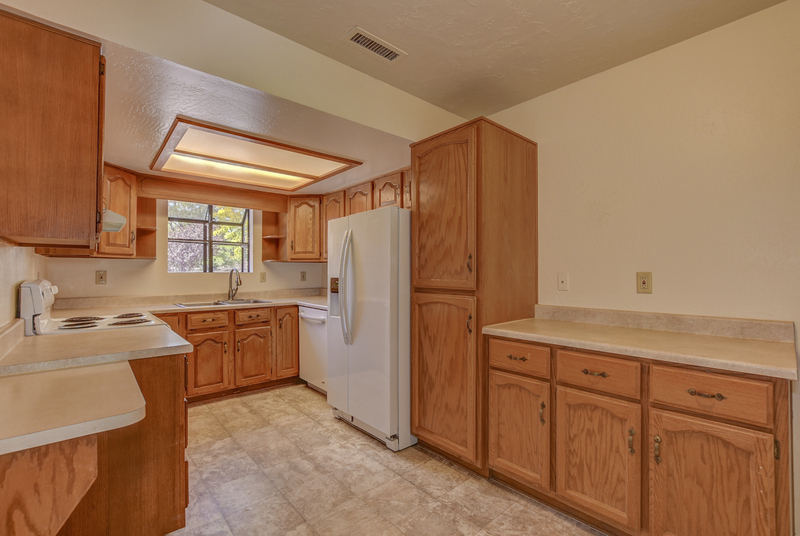 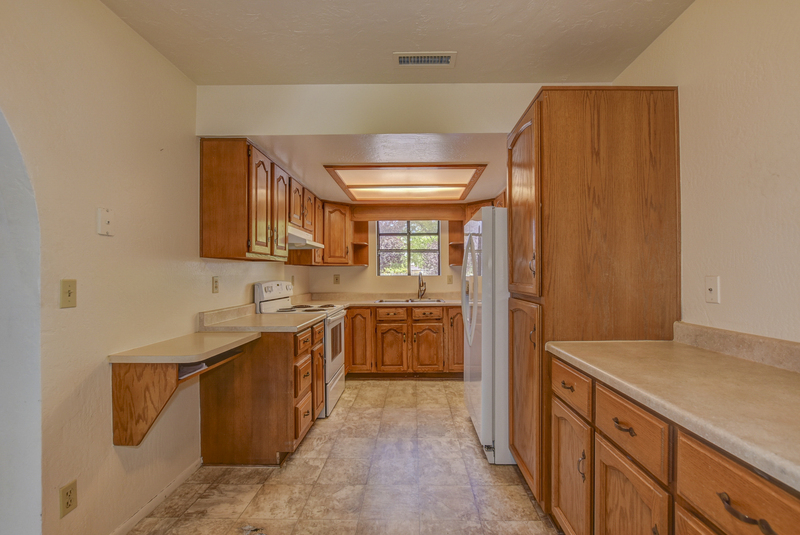 Kitchen features wood cabinets solid surface counters, refrigerator included. 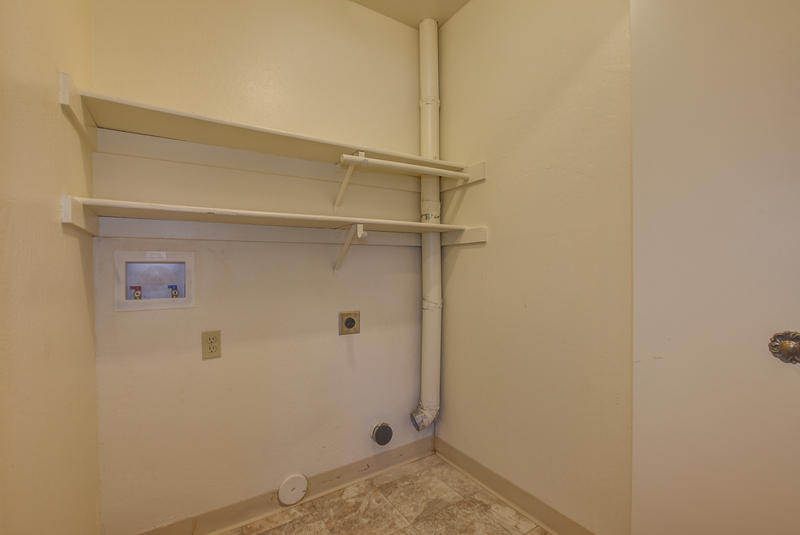 Nice laundry room with shelves. 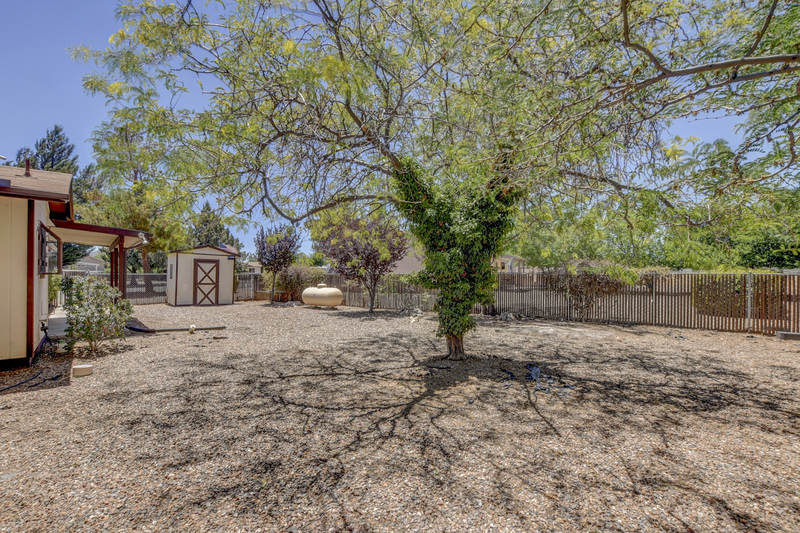 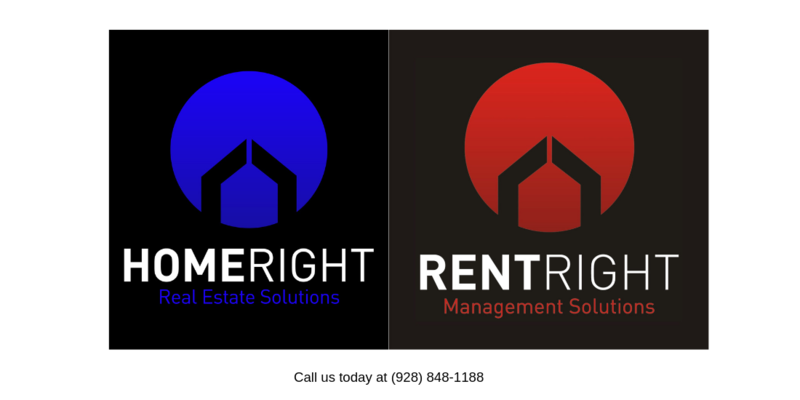 Easy care landscaping in front and back yards with mature trees and shrubs. 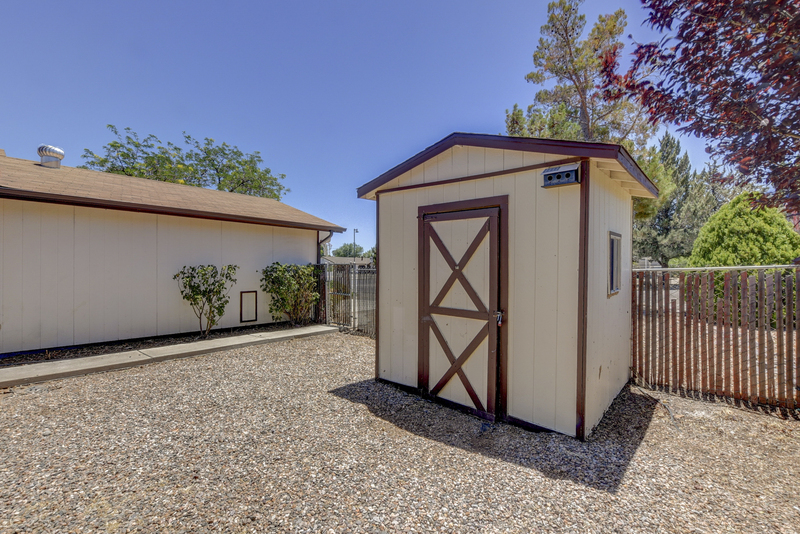 The back yard includes a covered patio, fenced yard,and a storage shed. 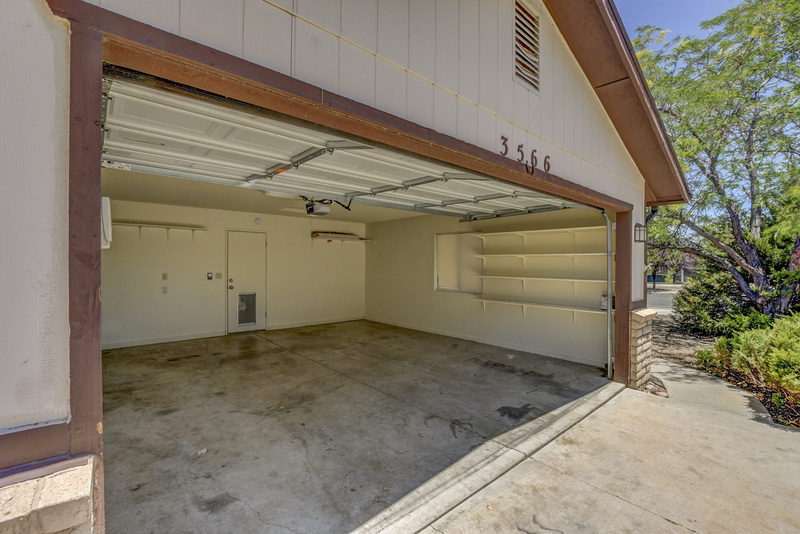 Side entry 2 car garage with room for extra parking next to it.